My name is Jenni. I am happily married to my high school sweetheart, and we are blessed with 4 amazing children. I am a 1st grade teacher, and my husband and I are both high school youth directors. Our family enjoys being together, and one of our favorite past-times is camping! We journey in our camper as often as we can. Time with family, the beach, & dancing to 80's music are among my favorite things! Another one of my favorite things are essential oils! I would always enjoy the soothing, authentic smells of the oils when I went to visit my sister's house. It wasn't until my youngest child, 18 months at the time, began suffering from terrible seasonal discomfort that I realized oils can be used for much more than scent! My sister shared her story of how essential oils impacted her family. I was apprehensive about taking the first step, but fortunately received a sample kit of Young Living oils for a Christmas gift. I immediately tried the oils in my daughter's room. Within days, I noticed a significant change and how the oils were supporting a restful night's sleep for her - hooray for sleeping through the night! I ordered the Premium Starter Kit, and with the wonderful support from my Young Living family, I began my journey! Yes, Young Living Essential Oils are certainly one of my very favorite things! I would love to help you begin your oil journey! Take Care Be Good is a like-minded community of oilers ready to help YOU on your adventure with essential oils! When you become a wholesale member with Young Living, through the purchase of a Premium Starter Kit, there are no strings attached! Becoming a member allows you to receive 24% off retail pricing = brilliant! And, please know that WE WON'T LEAVE YOU HANGING! When you sign up with a TCBG member, you gain access to our private Facebook product support page, as well as access to resources/monthly classes/& an educational FB page for our umbrella group - Essential Families! Several of us are admins for the Essential Families group too. We all work together to make sure you know how to use your oils as you pursue a healthier lifestyle! Private website full of resources, graphics, scripts, education etc. To view the full list of starter kits, please click here. Enter member #12203743 in both the Sponsor and Enroller sections if they aren't already pre-filled. Check your country and language preference. On the next page, fill out your info. Select your Premium Starter Kit ($160). You can choose to sign up for Essential Rewards if you'd like. Essential Rewards is a program where you agree to spend $50 monthly for a reduced shipping rate, to earn 10% back in ER points to redeem for free product (it goes up to 20% off after 3 months! ), & gifts from Young Living every 3 months for the first year! 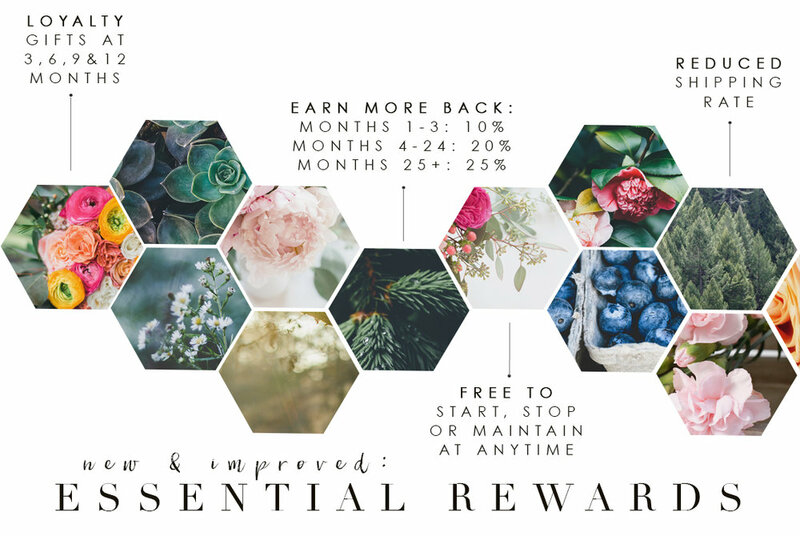 I love Essential Rewards because it has helped me ditch & switch some of the household and body care products I bought from the store that I wanted to replace with more natural products. You can use your ER order to replenish your most used oils or try something new, like our Savvy mineral makeup! A popular choice is the Thieves ER Kit! All finished- welcome to the family! You'll be added to our private FB education/support group shortly! 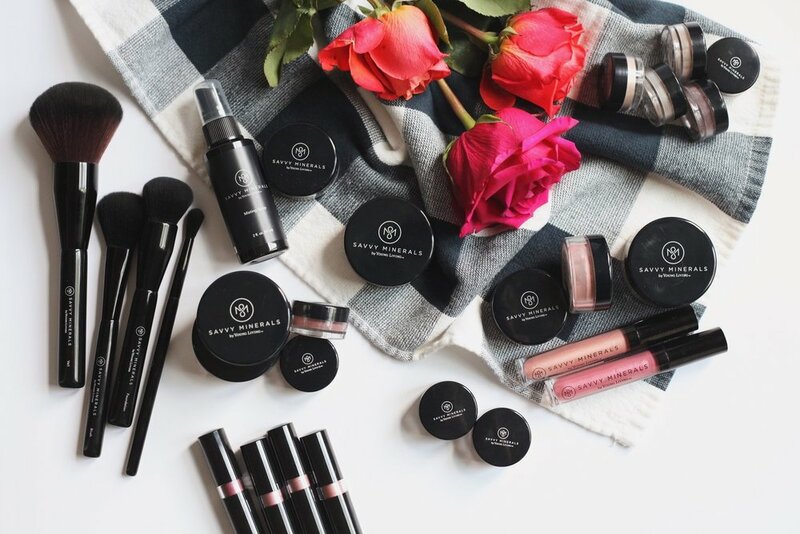 Want to learn more about Young Living's all-natural Savvy Minerals makeup? Savvy is one of the cleanest makeup lines on the market! Click on picture to order!